Before we left home we had the privilege of Mudith and his wife Lucy, popping to our house and cooking a meal for 15 people. 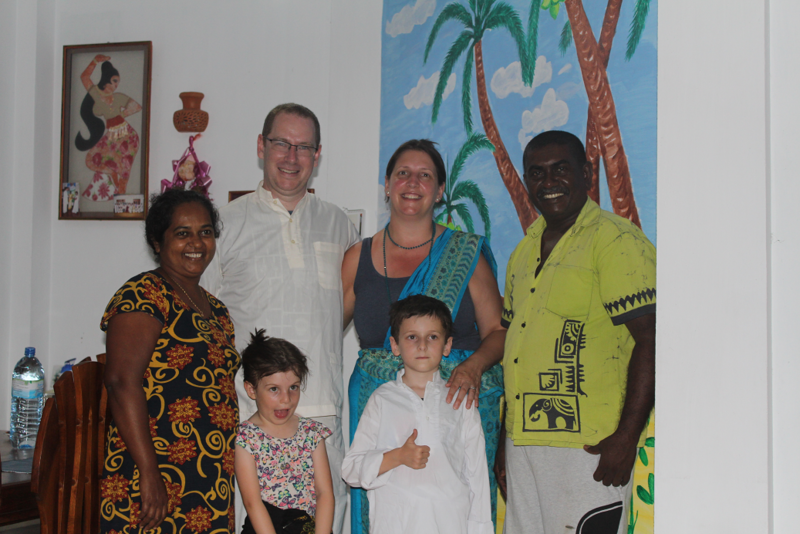 Mudith runs a small take away called Coconut Sambol and when he heard of our plans to travel around Sri Lanka he was keen for us to have a homestay in Galle with his sister and brother-in-law. Together they run the quiet Dominic Villa guesthouse and Mudith had kindly arranged a free night’s stay along with dinner. So it was that after an hour’s drive from Mirissa we arrived at Dumith and Kalpa’s house and were greeted warmly by Mudith’s sister Kalpa along with her two sons Randima and Chimoda. We sat and chatted for a while downstairs. Our daughter was happy to receive chocolate cake and seemed to have mastered the art of getting more cake in exchange for cuddles! 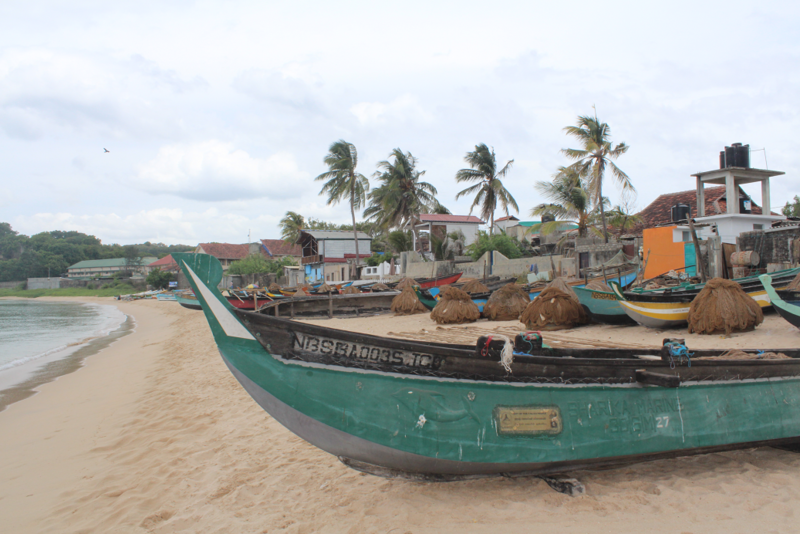 Once we had moved our bags upstairs and settled Randima gave us a lift in the family Tuk to Galle Fort. 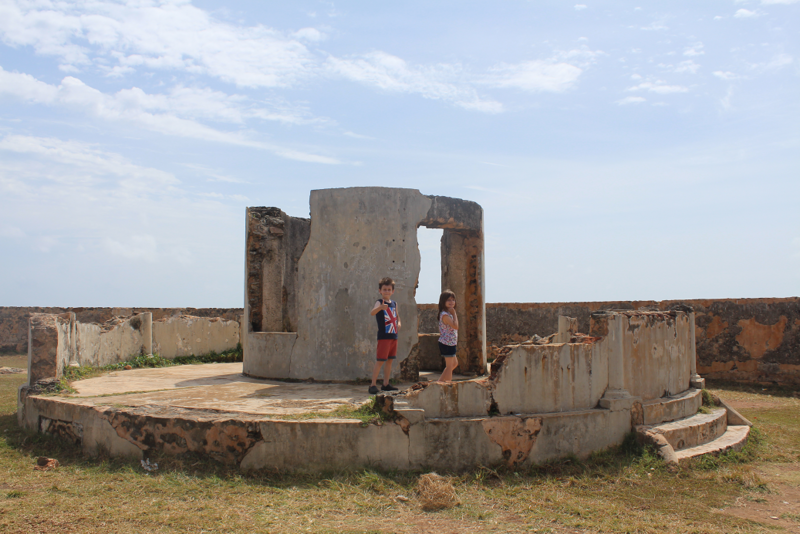 The Fort was originally built by the Portuguese in 1588 and then further fortified by the Dutch from 1648 onwards. 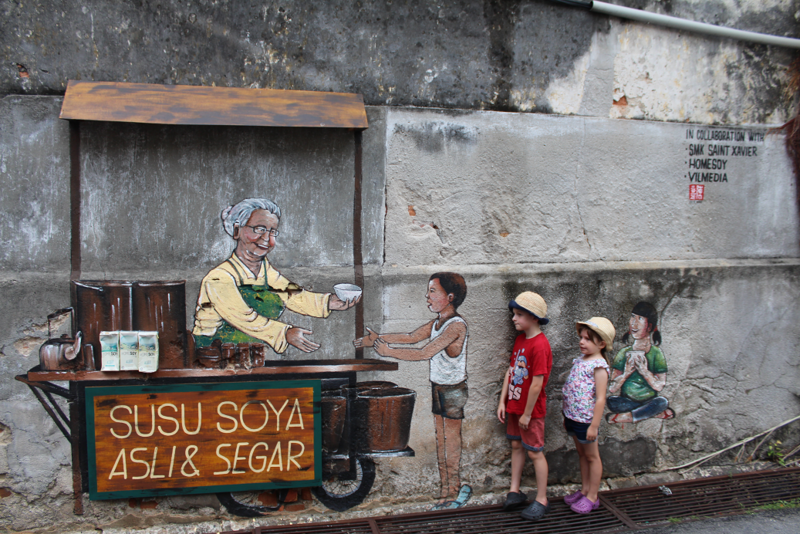 Today it remains a quiet, charming area of Galle with cafes and restaurants down small side streets. We had lunch in one of these restaurants before taking a long walk around the fort garrison. On returning to Dominic Villa we asked to have a look at the preparation involved in the curry we were going to have for dinner. We were shown how everything was prepared but we were also asked to get involved with the preparation. This resulted in lots of laughter from Mum, Dad, Dumith and Kalpa as the speed of our preparation was no-where near the standard required to eat for 6pm!! Kalpa made us a great vegetable curry and did the kids some non-spicy food to eat for dinner and it was well received by us all. After dinner we sat with the family and chatted and then Dumith and Kalpa produced some traditional clothes for all the family to try on. Again we had much laughter as we tried on the Sari’s and posed for photos with the family. After a lovely home-cooked breakfast the next morning we headed out by Tuk Tuk for the 40-minute journey to Hikkaduwa for some more time by the beach. The waters were much calmer here than Mirissa so the kids had great fun jumping about in the waves! We were approached by a young Sri Lankan man called Sanca who offered up the use of his Tuk Tuk should we need it. We planned on taking the kids to a nearby turtle hatchery later in the day so we agreed with Sanca that we’d go with him when the time was right. He was happy with that and chatted to us some more mentioning that he had been happy that our daughter had approached him to play Frisbee and chat to him. 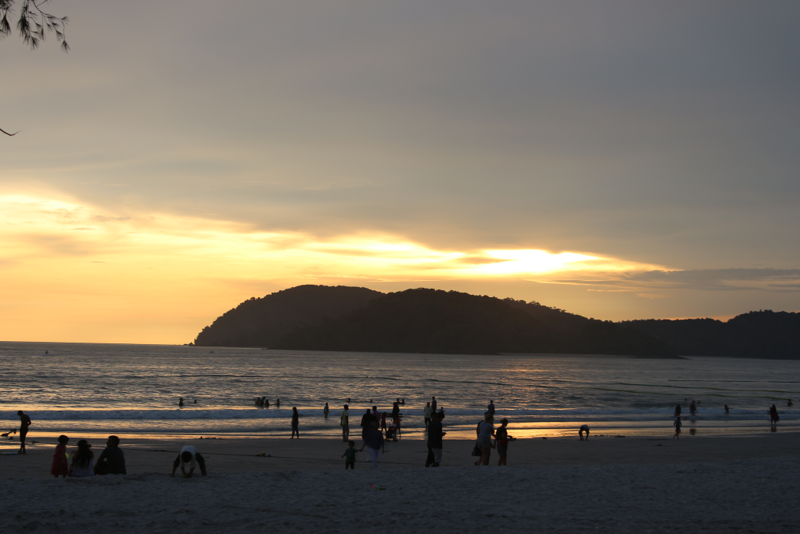 Despite there being a lot of foreigners in Hikkaduwa he found that a lot of them were reluctant to talk to “a dark skinned man”. More people should take the time out to talk to Sanca as he was a great lad. 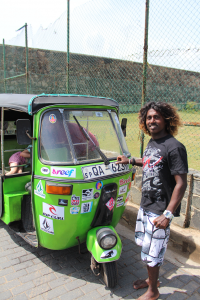 He loved his surfing and drove a bright green Tuk Tuk plastered in surf stickers which he took us to the turtle sanctuary in and eventually all the way back to Galle. He was kind, chatty and interested in where we were from as well as showing us the surrounding area and it was sad to say goodbye to him at the end of the day. We returned to Dominic Villa briefly before setting out again to the Japanese Peace Pagoda. The Tuk Tuk we hailed down looked very old and battered and we tried to explain to the driver where we wanted to go – even showing pictures. In the end we resorted to naming nearby places such as Jungle Beach to direct him to the area. The peace pagoda was on top of a very steep hill and it had begun to really hammer down with rain. As the old Tuk Tuk tried to make it up the hill it gave up. The elevation was just too much for it in the rain. Instead we rolled backwards down the hill and the driver went up the road a little way where there were more Tuk Tuk’s congregated. He dropped us off here and we went with another driver in a Tuk Tuk more suited for the terrain! This driver also knew where we were going too. On the way he suggested that we also stop in a local Buddhist temple close to his village. We did this and took a look around. While we were there a monk came over and gave us all a blessing. By this stage the heavens had opened and everyone just huddled under the roof of the temple waiting for the rains to stop. After about 20 mins of waiting we all decided that we should just head back to Dominic Villa where we knew Kalpa was cooking us another delicious dinner. We had a lighter dinner this evening before spending time with the family. Sad farewells were exchanged in the morning as we headed off early in a taxi to our hotel near the airport. It was almost a three-hour drive and the location of the Green View Hotel was a little remote. 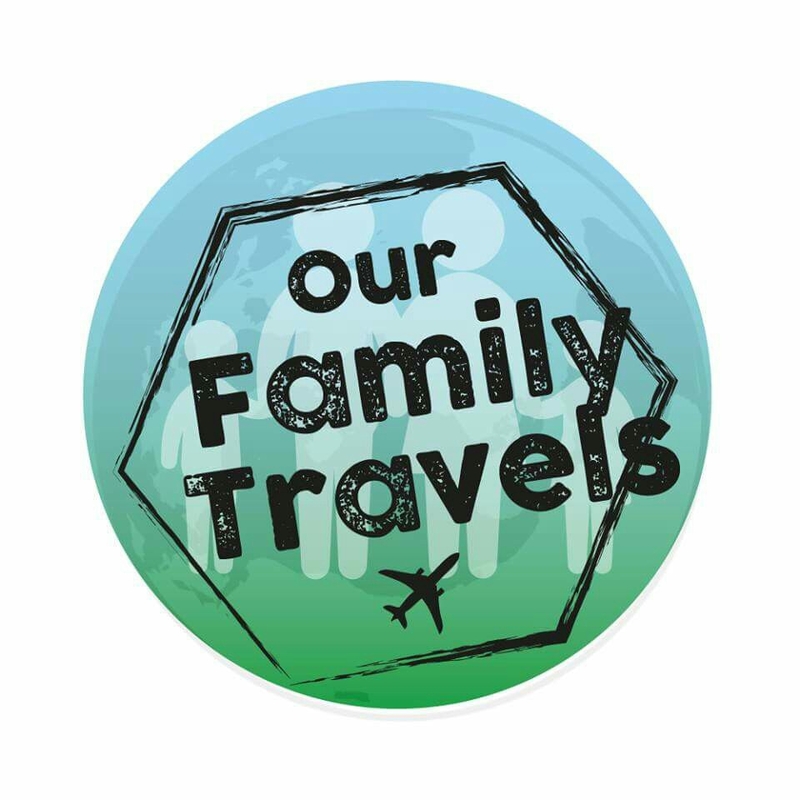 However, we chose the hotel because it was about 10 minutes’ drive to the airport and in the morning we would be saying goodbye to Sri Lanka and heading off to Malaysia. We ordered lunch at the hotel and waited over an hour for it to make an appearance – possibly the worst service we had received in all of our time in Sri Lanka. The afternoon was spent relaxing in the swimming pool before an early sleep. With bags packed ready we set off in the morning to the airport. Our next destination is Malaysia.